Islamic State has hundreds of battle-hardened men and supporters operating freely in Northern Syria, even with heavy the military losses the terror group sustained. The Islamic State remains highly active in northeastern Syria despite recent claims by U.S. President Donald Trump that the Islamist terror group has been defeated, according to local commanders fighting on the ground. 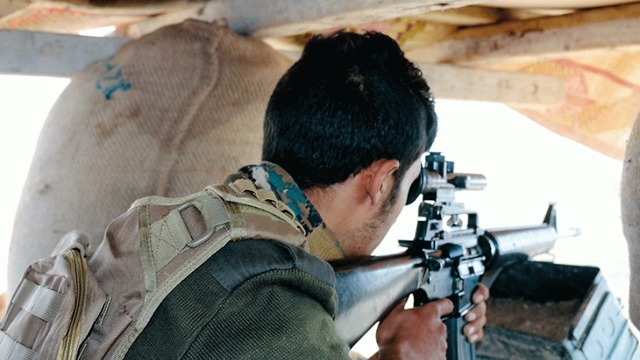 The Syrian Democratic Forces (SDF), a predominantly Kurdish and Arab alliance fighting for a secular democratic state, have been battling IS for years. “ISIS has hundreds of fighters around Hajin and along the Euphrates… these are the most dedicated, the most experienced IS fighters in Syria. In local tribes and villages, IS also more active supporters as well,” said Havel Ronnie, a top commander in Deir-ez-Zor province in eastern Syria. Islamic State’s presence in Syria has been severely diminished since they were driven out of their de facto capital of Raqqa, in late 2017 by the SDF.Following this victory, the SDF launched the “al-Jazeera Storm” military campaign in mid-2018 against the terrorist group, which aimed at liberating Hajin, Susah, and other IS-controlled villages along the Euphrates in eastern Syria. However, the battle here, in Deir-ez-Zor province, has been particularly difficult. “Those are the worst of the worst; they have survived Kobani, Raqqa and other battles. They’ve had five years to prepare so they’ve dug tunnels and planted many improvised explosive devices,” Ronnie said of IS. An amalgamation of Kurds and local anti-IS tribes backed by the Americans – the SDF has recently dealt a blow to the jihadists by capturing Hajin from ISIS.But according to Marwan Qamishli, the media spokesperson for the operation, this came at a heavy cost. 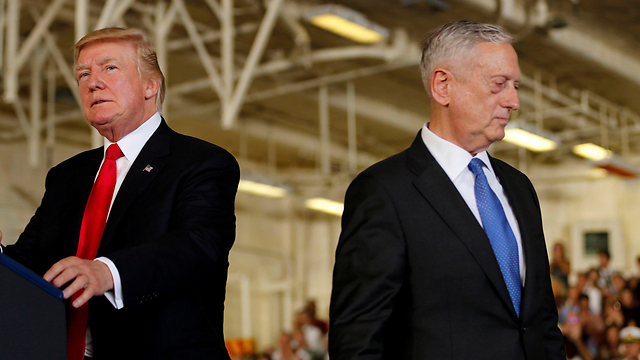 The president’s decision to withdrawal of all the U.S. troops in Syria was cited by his outgoing Defense Secretary, James Mattis, as a key reason for his resignationfrom the administration. As of now, though, the SDF hasn’t seen U.S. troops leaving the country, and Trump has reportedly decided to gradually withdraw over a period of months. “At the moment nothing has changed – we are still receiving support from the coalition – including American air strikes,” Qamishli said. “However, Trump’s announcement has created a lot of confusion, not just with us, but also with other coalition members, as we are not sure yet when, how, or if, the Americans are going to leave,” he added. 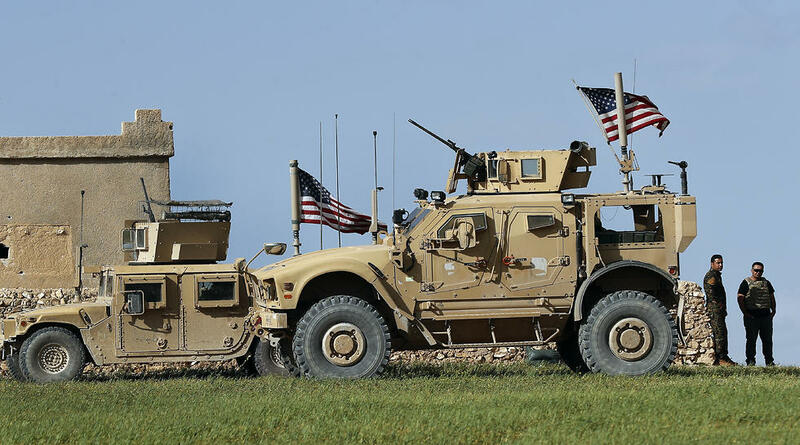 If the American troops stationed in Syria do leave it would have serious implications on finding remaining IS fighters and their supporters inside of Syria. Indeed, the SDF believes that dealing with both IS fighters and their supporters is a generational battle. “This battle will continue on for years if not decades. Even if IS is defeated, it’s not the end. ISIS can recruit more supporters,” Qamishli added. This entry was posted on January 2, 2019 at 10:27 AM and is filed under Uncategorized. You can subscribe via RSS 2.0 feed to this post's comments. Both comments and pings are currently closed.